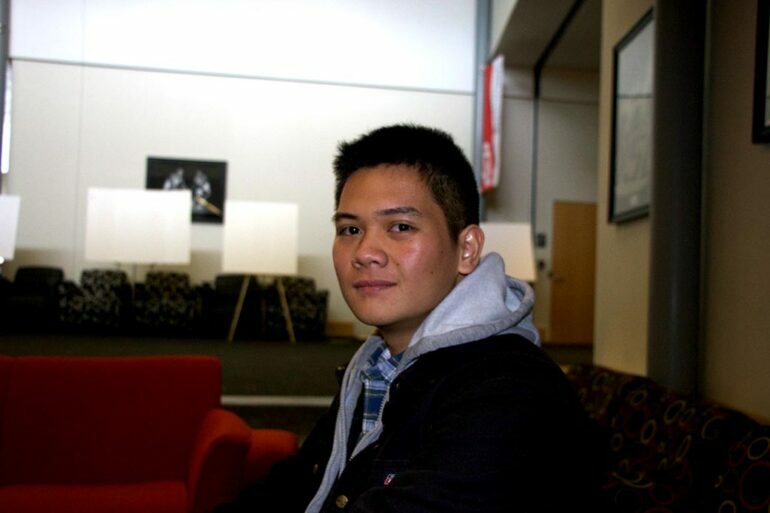 Jeff Chang is a senior from Taiwan majoring in math. Molly Sperlich: Why did you choose USD? Jeff Chang: Everyone said USD is affordable and I think that’s like the biggest reason I chose here. Or my parents chose here since I am not financially independent. The first time I came here it was a small town and I was kind of disappointed. But the people are very friendly and the climate is welcoming. MS: So where you lived in Tawian, was it a pretty large town? JC: We will call it a small town, but it is still more populated than here. MS: What was the biggest adjustment you had coming from Taiwan to here? JC: Well it’s not the first city I have been to in the United States and they had a lot more bus systems. So being here, I have to walk everywhere. MS: What are your summer plans? JC: This summer I will go back to Taiwan. I am still looking for my internship. MS: What sort of internships are you hoping to get? JC: Since I am a math major, I will probably get some sort of data analysis, but I am still looking for it. I have applied for a few places but they have all rejected me so far. MS: What are your plans after graduation? JC: After I graduate from here, I will probably serve in the military. Then just like I said some sort of job in data analysis. Then I will probably work for two or three years and see if it is necessary to pursue a master’s degree. MS: Have you always liked math or why did you choose it as your major? JC: So the thing is, our education system in Taiwan is not very functional or complete. So the traditional subjects we have human and social sciences but I don’t know anything about business. If I knew before I would probably have chosen to do business, but math has always been an intriguing subject. MS: Are you involved in any student organizations? JC: Currently not, I went on an AWOL trip. I think it’s because my major doesn’t require me to interact with many groups. Also, my personality I tend to walk alone unless I need help. MS: Where did you go on your AWOL trip? JC: I have been to Dallas, Texas and Rosebud Native American reservation. MS: What did you do on those trips? JC: Basically just helped out the minorities or people who have financial problems. MS: So what did you think of Dallas, it has a very different climate from here? JC: We went in winter so it wasn’t too bad. The culture there is so much different from here and being honest I didn’t really like Dallas.